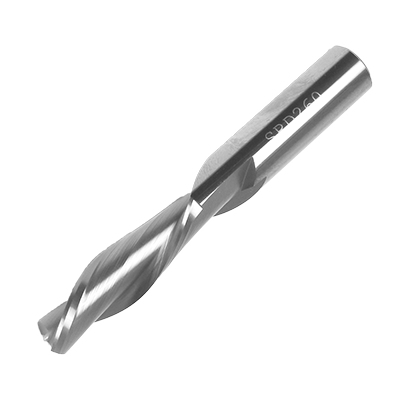 What Are the Uses of Solid Carbide Spiral Router Bits? If you want to reach peak performance when cutting hard or soft wood, plywood, MDF, composites, and plastics, you need a router bit that offers consistent effectiveness job after job. Solid carbide spiral router bits are up to that challenge and then some. Designed with an optimal helix shape and a strong body, these router bits last several times longer than ordinary router bits, all while delivering increased performance and accuracy. Clean cuts—For projects that demand the utmost in accuracy and precision, you can’t go wrong with spiral router bits. They give you more control when making fine cuts, making the creation of fine details and thin lines easier in your woodworking. Reduced wear and tear—All router bits have a limited lifespan, and they all eventually need to be replaced. But the unique design of spiral router bits in addition to their superior cuts means they last much longer than traditional router bits. Not only does that save you money, but it also saves you time and increases your shop’s overall efficiency. Coated Spiral Router Bits—Coatings provide additional longevity and precision. Spiral router bits can be purchased with enhanced coatings that are designed to further improve on the benefits of these unique router bit designs: namely, their accuracy and longevity. The special coating can double and even triple the life of the spiral router bit. Coated spiral router bits also improve hardness and heat resistance, making them more durable and reliable than ever. Need Solid Carbide Spiral Router Bit Sharpening? Call Us Today. Sharpening solid carbide spiral router bits can be a complex process, especially when the right equipment and tools aren’t used. At Byler Industrial Tool, we’re one of the only Freud Authorized Service Centers in our area, and we use only the highest-quality diamond wheels and CNC grinders during our sharpening process. Don’t accept anything less than the best for your spiral router bits. Contact us today at (615) 763-6227 to utilize our sharpening services.